Bantayan Island is one among the countless beautiful islands in the Philippines. This must visit Philippine tourist destination is situated in the Visayan sea and is in the West part of the Northern end of Cebu. Just like Boracay, Bantayan island boasts its fine white sand beaches. Fly from Manila to Cebu. Take a flight from Manila’s Ninoy Aquino International Airport to Cebu’s Mactan International Airport. Travel time is approximately 1 hour and 15 minutes. In Mactan International Airport, hail a taxi cab going to Cebu North Bus Terminal. Travel time is approximately 1 hour and fare is approximately 150 Php. In Cebu North Bus Terminal, take a RORO bus direct to Bantayan Island. These buses will bring you to Bantayan Island via Hagnaya Port. Travel time from Cebu North Bus Terminal to Hagnaya Port is approximately 3 hours. Fare is 225 Php. Ceres Liner cater Bantayan direct trips. For the bus trip schedule please refer to “Bus trip to Hagnaya Port” section of the table below. In Hagnaya Port, bus passengers are asked to get off the bus, buy ferry ticket and pay for the terminal me. You may leave your luggage or backpack in the bus while buying your ferry ticket and paying for the terminal fee. The bus will onboard the ferry first. 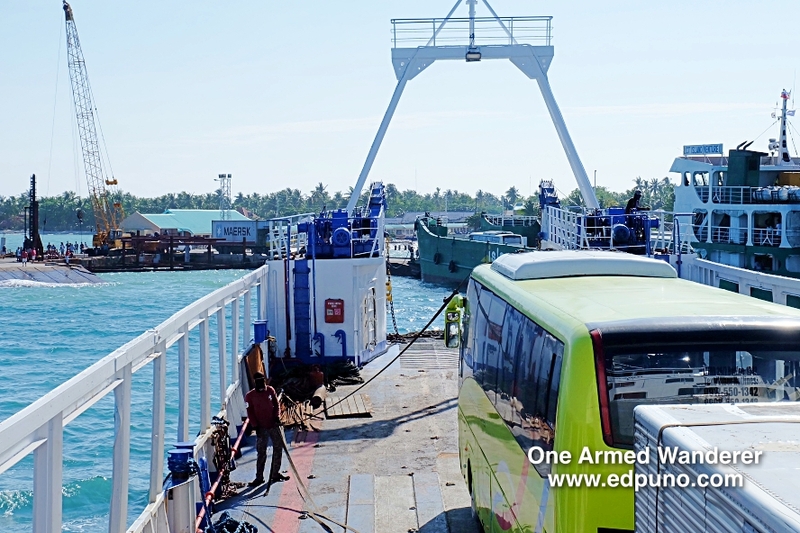 Once the bus has onboarded, passengers are asked to onboard the ferry. 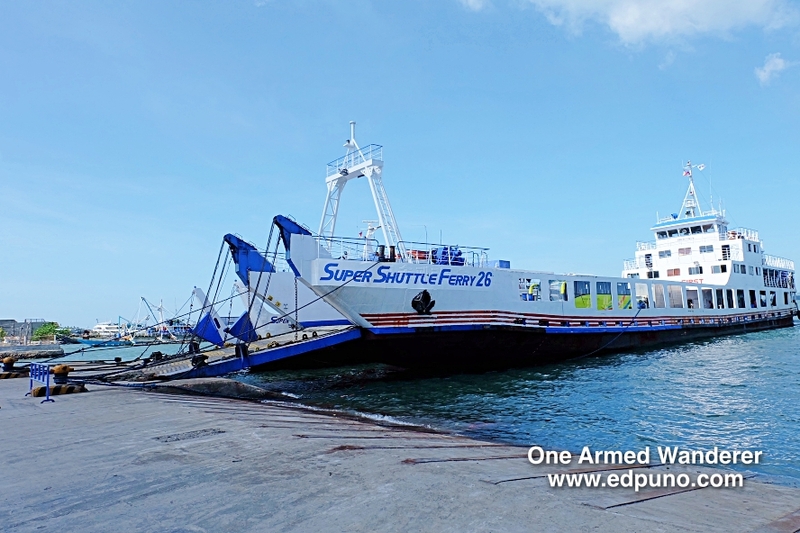 Ferry travel time from Hagnaya Port to Santa Fe Port in Bantayan island is approximately 1 hour. The ferry will dock to Santa Fe Port. The bus will offboard the ferry first. After the bus has offboarded, passengers are asked to ride the bus. Just inform the bus driver and fare collector to drop you at Bantayan Tourism office which is few meters away from the port. From there, go inside the tourism office and pay 30 Php for the environmental fee. Carefully plan your trip going to Bantayan Island. The total travel time from Cebu’s Mactan International Airport to Hagnaya Port is approximately 4 hours. Last trip from Hagnaya Port to Bantayan Island is at 4:30 PM. Thus, you should be in Mactan International Airport earlier than 12:00 PM to catch the last Ferry trip to Bantayan Island. If you are coming from Manila, the total travel time to Bantayan Island could take up to 8 hours. That includes the waiting time in airport and terminals. If you are not pressed of time, you can spend your first day in Cebu City instead and travel to Bantayan Island the next day. There are two types of taxis in Mactan International Airport. The yellow ones are airport taxis and the white ones are public taxis. Yellow taxis are more expensive. In Cebu North Bus terminal, they charge 10 Pesos for person upon entry in terminal. We assumed that these are terminal fee. 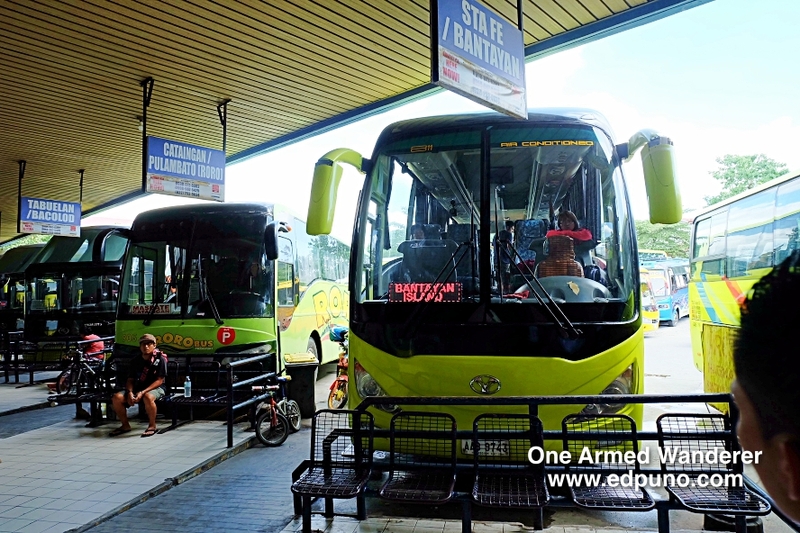 The 3-hour bus ride from Cebu North Bus Terminal to Hagnaya port has 2 stopovers where passengers can take quick meals or have a toilet break. If you are a smoker, the stopovers have smoking area.